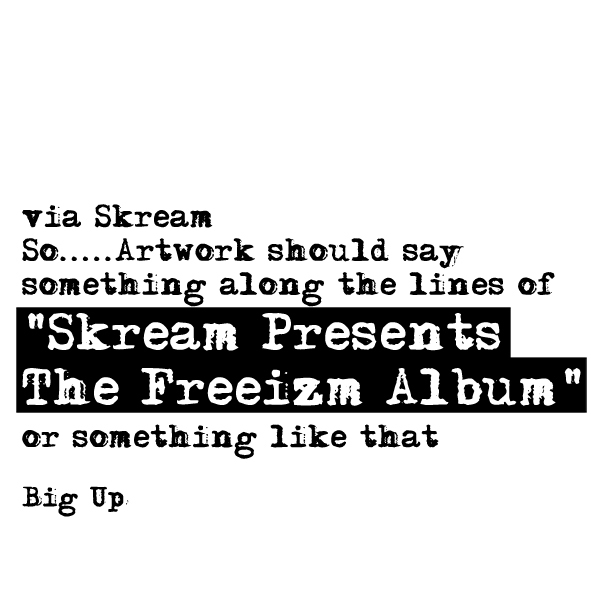 2010 has been Skream’s year. First he released his ridiculously good second album Outside the Box, then smashed the charts as Magnetic Man and now he’s giving us all a Christmas present in the form of an entire album. For Free. Massive shouts to everyone who’s supported me this year in any way….. This album is complied of old stuff,Lost dubs and some new stuff so i hope you enjoy! This follows on from Freeizm Vol. 1, 2 and 3 that he’s released throughout the year. This entry was posted on 27 December, 2010 at 2:08 pm and is filed under Downloads with tags dubstep, skream. You can follow any responses to this entry through the RSS 2.0 feed. You can leave a response, or trackback from your own site.